We held our AGM at our clubhouse on Friday 4th of May, you can download a copy of our AGM booklet here. (Excluding Treasurers report and club finances. 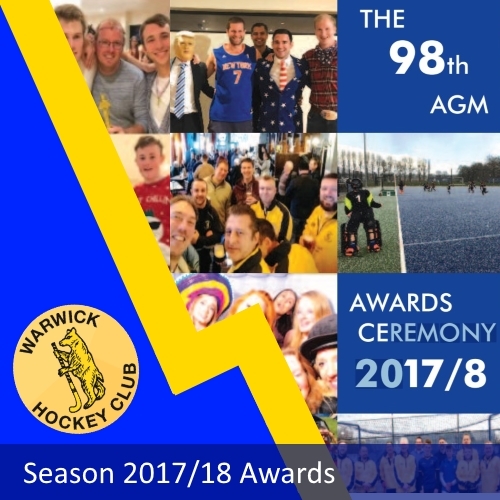 Full copies are available to club members only, contact secretary@warwickhockey.co.uk to request a copy). Our new club officers have been voted in; you can see the new posts on our Our Committee page. Congratulations to all our award winners who helped make our Season 2017/18 such fun and success! 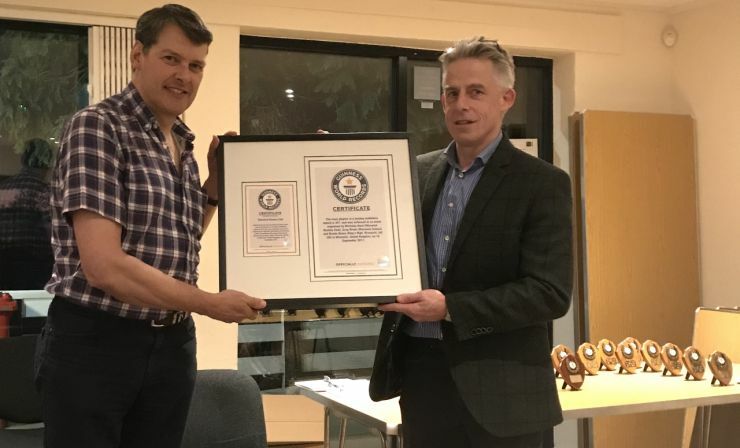 At the AGM Nick Herd presented the club with the framed Guinness World Record certificate to display at our clubhouse. 'Top Work' Nick on leading this tremendous achievement!